Caregiver support groups provide confidence and assistance to navigate family care situations. Caregivers are known for self-sacrifice, placing their needs below others, and ignoring their own health concerns. Standing up in a caregiving role is important for a number of reasons. Caregivers who are comfortable asking for support feel like they have more control over the caregiving situation. Self-esteem is maintained and confidence builds through participation in support groups. Requesting support and making needs known is a positive step to reducing the anxiety and stress many caregivers experience. Standing up in the physical sense relates to health, specifically activities of the central nervous system that supports communication from our brain to nerves and muscles. The ability to stand and present good posture supports positive health and well-being for caregivers. Caregiving stress, both emotional and physical, results from interactions with aging parents and other family members. Expectations about the amount of time devoted to care builds tensions and disagreements among family members. Caregiving relationships may be unequal, with one family member contributing a significant amount of time. Family caregivers find themselves in situations of feeling overwhelmed, anxious, and unprepared for the responsibilities of being a caregiver. The mental and physical health of caregivers declines as the level of caregiving increases. Caregiving stress, depression, and self-esteem are related. Research indicates that caregivers with higher educational levels and good incomes respond positively to the caregiving role. Caregivers with lower incomes showed higher levels of depression. Caregivers experiencing the greatest stress are older women who are married to the care recipient, not working, and who devote a significant amount of time and money to caregiving. (1) For women, caregiving can seem like a balancing act. The ability to pay for care is a financial concern. Adult children caregivers worry that if their income is devoted to the care of an aging parent there will be no money for their own care when needed. Caregiving spouses have similar concerns especially if the marriage did not result in substantial retirement savings or plans to pay for care. My mother reminded her children that she would die before my father because she was worried about not having enough income on which to live. She raised six children and did not work until the latter part of her life. She died before my father, not realizing that if he passed first she would have had access to his social security income. Another concern by the caregiving spouses is who will care for the surviving spouse? If family relationships are strained by caring for an ill and aging parent, will the issues repeat with the surviving parent? How many married spouses feel unappreciated by adult children and the ill spouse? How many adult children feel unappreciated by siblings and adult parents? With a lack of appreciation, self-esteem plummets. The caregiver feels de-valued. Self-isolation may have already occurred. Attending outing with friends has decreased or stopped altogether. This lack of appreciation and decreased self-esteem spirals into depression and reduced communication that further divides family relationships. While caregiving can be a positive act, the negative effects are many. Support allowing caregivers to share common experiences is offered as one solution for caregiver stress and depression. Knowing that others are in similar situations lighten the load felt by caregivers. Camaraderie between caregivers occur. Relationships are established. Support groups are available in person or online. What is the hesitation to attend? Caregivers may be hesitant to attend support groups for fear of appearing needy. Support groups enhance caregiver self-esteem by showing appreciation for the efforts of all caregivers. Encouragement is offered to caregivers to speak up about needs and desires. The importance of caring for oneself, taking time for breaks, and maintaining social contacts is discussed. Pressures placed by family members on caregivers may be discussed but disappear during support group time. The physical ability and time involved to attend support groups is a related concern. For caregivers who rarely have anytime alone, spending time with other caregivers may be unattractive. Excessive drive time may be more stressful than actually attending the group. Having to find care for a loved one may add additional stress. In these situations, online attendance is suggested. Websites offering access to information 24/7, like my website, make accessing information convenient. 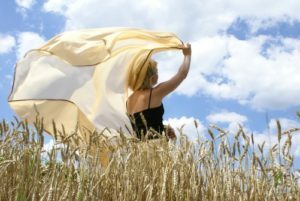 Anonymity is a valid concern for support groups and websites who allow advertising and for the advertisers to become part of the support group.The best support groups are managed by caregiving experts who may offer paid programming but who do not allow a barrage of advertisers or solicitation. How does physically standing up support the self-esteem of standing up for needs? The simple act of supporting good posture contributes to the functioning of the nervous system. As we age, the nervous system experiences a decline in working ability. In addition to physically standing, the nervous system supports good posture, balance when walking, muscle movements, memory strength, and bladder control. Caregivers providing physical support to a loved one may bend and reach. Physical assistance is provided to assist aging parents to stand from a chair, move from a wheelchair to bed, or move to sit on a bath chair to bathe. These simple acts result in sore arms, backs, and legs the next day. These age-related changes experienced by the care receiver represent the need for care. These same concerns by the care receiver result in concerns to adult children about desired care. “Improper posture extracts a high price as you age because the longer it takes, the more difficult it is to correct. It can limit range of motion as muscles and ligaments that have been shortened or stretched no longer function as they should. Posture can have profound influences on how you feel, function, as well as your overall health.” Slumping in a chair or bending over when walking represents poor posture. Acting to develop a program of physical activity for the caregiver and the care recipient is important. Rehabilitative exercises should be simple enough that even with advancing age and potential memory loss recognition of the exercises is possible. When the caregiver stands up and makes the request, a physician will provide a medical order for a physical therapy evaluation. Exercises for an aging adult can be easily translated to exercises completed by the caregiver. For caregivers, improving self-esteem and gaining confidence that one’s efforts have a positive result and value are important. Many caregivers are thrust unexpectedly into the role of caregiver. Family may or may not be supportive. Family relationships and demands may place more stress or guilt on the caregiver. Past issues that are unresolved return at the time an aging parent needs care. 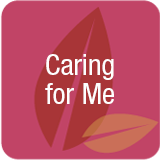 By “caring for me”, caregivers feel a sense of accomplishment in meeting their own needs. This internal sense of feeling good has a benefit for the care recipient. Caregivers who are more confident are more proactive in the care of loved ones. Caregiver experience less emotional and physical exhaustion. They are also more prepared to respond appropriately to negative family and outside care situations. 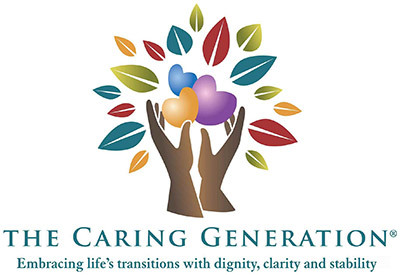 For more articles like this one, subscribe to The Caring Generation® FREE caregiver library. You can also join Pamela’s private Facebook group for family caregivers. 1 Kim, DeokJu, Relationships between Caregiver Stress, Depression, and Self-Esteem in Family Caregivers of Adults with a Disability. Occupational Therapy International. March 15, 2017. https://www.doi.org/10.1155/2017/1686143. Katengwa, Sharon. Your Posture Can Make or Break Your Health. The New Times. July 4, 2016. https://www.newtimes.co.rw/section/read/201374.